These are raw brass findings that are made in the USA. 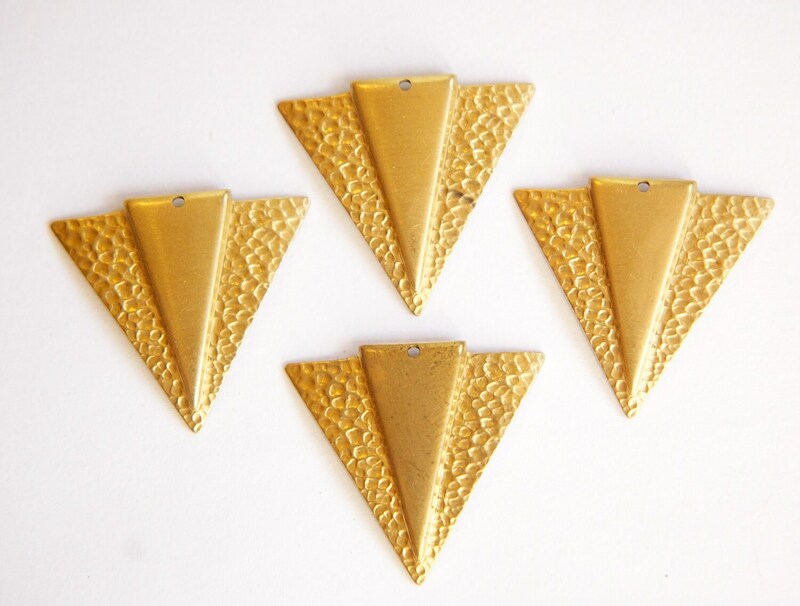 The triangle shaped base has a hammered or dimpled surface and the triangle on top is smooth. There is a beading hole at the top. These have a concave back. They measure 28mm high X 31mm wide. You will receive 4 pieces. I have these in other shapes too. Arrived safely. Lovely. Thank you. Very nice structure on this item. Ils sont superbes j'en suis tres contente merci beaucoup !! !